ESA / Rosetta / Philae / ÇIVAFirst panoramic shot of the surface of a comet from the Philae lander’s CIVA camera. When the European Space Agency got word from their comet lander that it had bounced its way into a dark corner of the comet, they knew it meant a race against the clock. Timing is an issue now because of the lander’s limited battery life — the scientists must now use the battery sparingly to conduct their scientific experiments. These tests could ultimately tell us if comets like this one carried the key molecules that culminated in the conditions for life on Earth. The lander has a limited battery life — about 60 hours — but also solar panels that can generate power. The probe, however, bounced a few times upon landing, ended up moving away from its target touchdown point where there was plenty of sunlight and into a shady area that seems to be under a cliff. Right now, it only gets 1.5 hours of sun every 12 hours. That shady area has cut down the probe’s potential for power, and severely limited the amount of work it can get done on the comet. Centrum Badań Kosmicznych PAN / Space Research Center PASThe MUPUS instrument Philae will use to drill us a comet surface sample. It’s unclear how long Philae will last under the shadowy conditions that will, in all probability, become its permanent resting place for months to come. Therefore, scientists are moving fast to make sure they get the data they have worked for more than ten years to obtain, way back when ESA first launched the Rosetta spacecraft in 2004. The latest instrument Philae is using is a type of hammering device, shown below, that will penetrate the comet’s surface and extract samples to analyse the comet’s chemical make up. Despite landing on its side, most of Philae’s instruments are working and transmitting data to Earth, including the six cameras on board that are taking beautiful images — the first images ever taken on the surface of a comet. 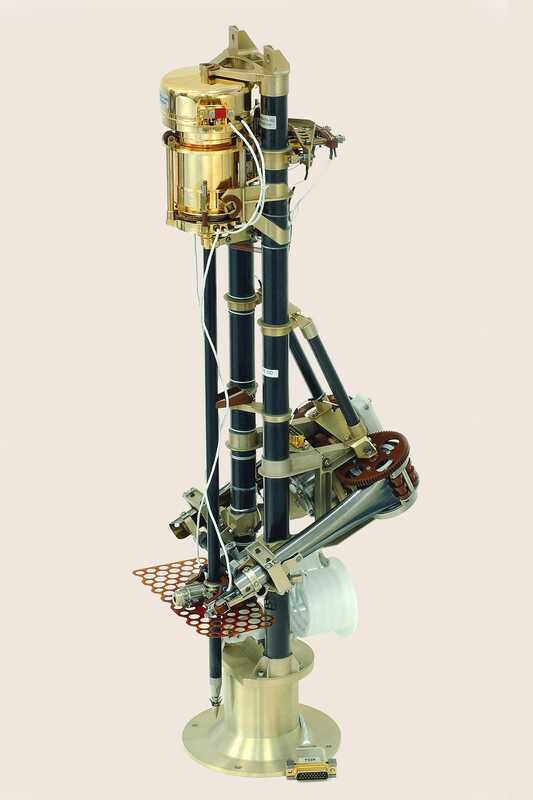 It is perhaps the most important instrument on board Philae: The MUlti-PUrpose Sensors for Surface and Sub-Surface Science instrument, called MUPUS for short. MUPUS is equipped with a hammer, that will nail a device that resembles an ice pick into the comet. Once it’s penetrated the surface, the device will collect samples of the comet’s surface. Scientists have already unleashed MUPUS, and are planning to hammer 2/3 of the ice pick’s length into the surface. If the MUPUS drilling and sample collection is successful, other instruments on board, like The COmetary SAmpling and Composition Experiment (COSAC), will then analyse the samples. 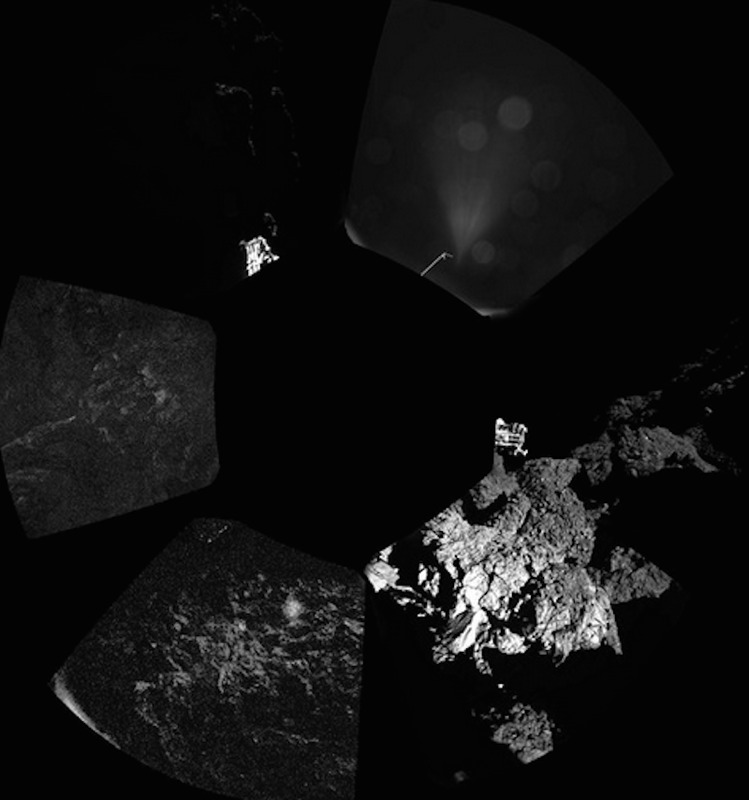 The scientists are hoping for a couple of major discoveries from Philae’s analysis. “The really big result will be if Rosetta’s landing probe… detects ‘chiral amino acids’,” John Plane, a professor at the University of Leeds in London, said in a statement released by the university. Chiral amino acids are a special type of molecule that, as far as we know right now, only exists in biological systems on Earth. If Philae discovered the presence of these amino acids on a comet, it could be a smoking gun for the origins of life on Earth. Another big question scientists are asking is whether comets were responsible for water on Earth. “Comet impacts are thought to have been one of the principal means by which water was delivered to the early Earth, around 3.6 billion years ago, possibly contributing half the water in our oceans,” Stanley Cowley, who studies comets at the University of Leicester, told The Daily Galaxy. Stay tuned for more information about MUPUS and the rest of Philae instruments for the Google Hangout ESA is hosting Friday morning at 8:00 am EST.